Brooks Orpik scored less than two minutes into overtime to give the defending Stanley Cup champions a 2-0 lead in the first-round series. Ovechkin assisted on goals by Nicklas Backstrom and Tom Wilson to help put Washington up two games to none in a series for just the third time in the past five years. 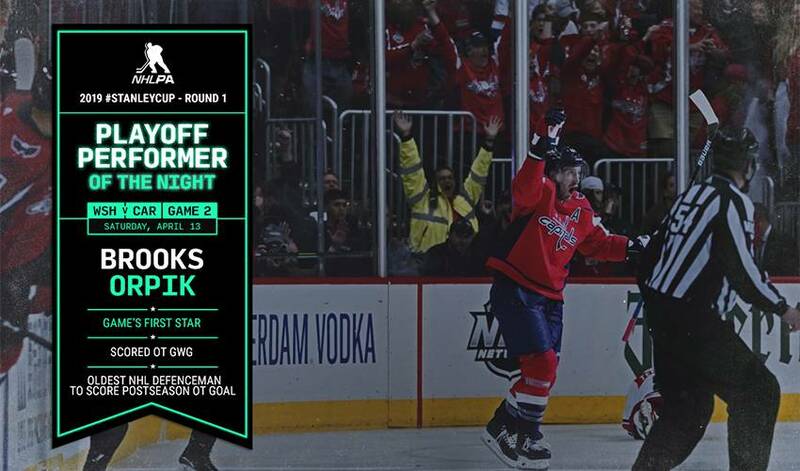 In perhaps his final NHL post-season, Orpik scored 1:48 into the extra period of the Capitals' first overtime playoff game since they eliminated Pittsburgh in the second round a year ago.